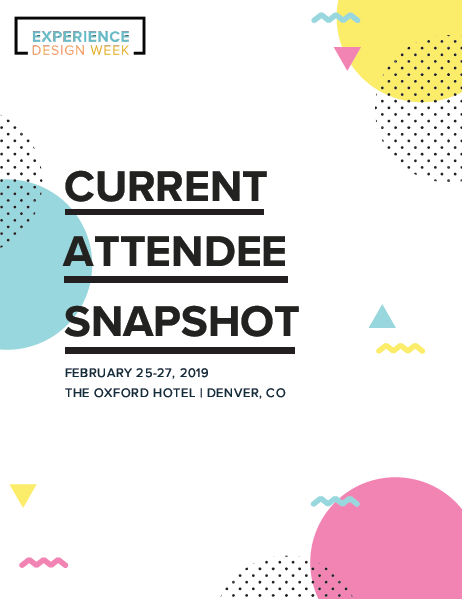 Take a look at the confirmed attendees that will be attending Experience Design Week this February 25-27! Whether you work in experience design, innovation, human factors engineering or customer experience in your organization, this conference will deliver you immediately applicable value. To get a copy of this snapshot sent to you directly, contact us here.